Volti updated their cover photo. Indiegogo for our 40th anniversary: http://igg.me/at/volti 4 days 10 hours ago. Volti is celebrating a birthday. Have you heard? We're turning 40, and we've got some exciting projects brewing! Indiegogo: http://igg.me/at/volti 4 days 11 hours ago. We're so proud of our singers for launching this campaign to celebrate our 40th anniversary! 2 weeks 3 days ago. And that's a wrap! Last night was the second of two performances of "Dreamers" with the incredible Philharmonia Orchestra, Esa-Pekka Salonen and Ana-Maria Martinez. You can catch the livestream on YouTube for a couple of weeks - https://www.youtube.com/watch?v=66D92TrCTI 1 month 3 days ago. Today we met Esa-Pekka Salonen and Ana Maria Martinez. Tomorrow, we get to work with the orchestra in the morning, then ... show time! This is going to be GOOD, folks. 1 month 6 days ago. 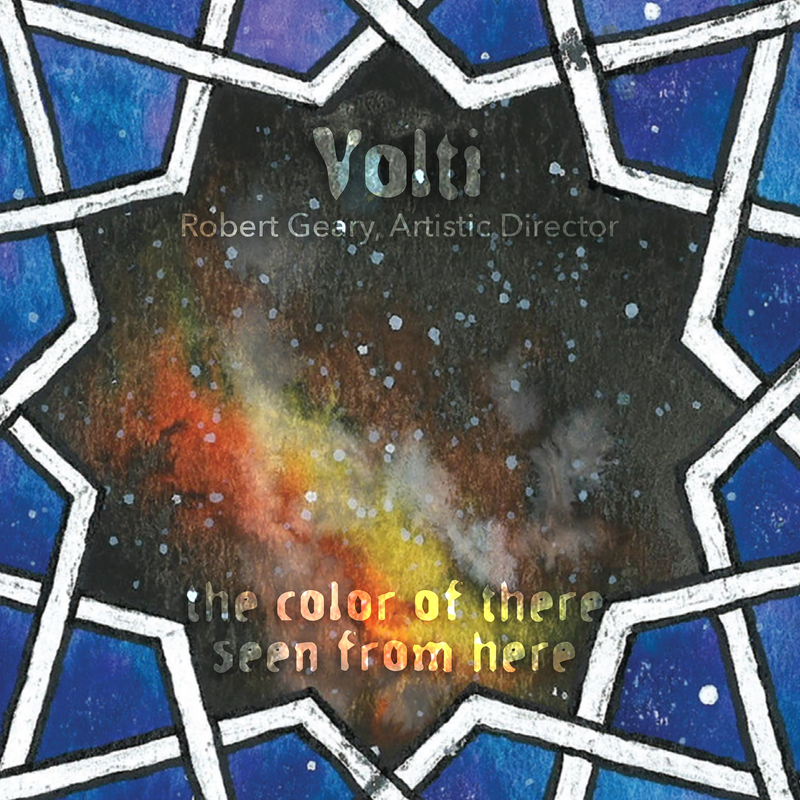 To mark its 40th season, the celebrated San Francisco vocal new music ensemble Volti releases premiere recordings of works of dazzling range and diversity by five American composers — Robin Estrada, Tonia Ko, Žibuoklė Martinaityė, Forrest Pierce and Mark Winges. Four of the works are among the twenty Volti has commissioned since 2013. “The world is blue at its edges and in its depths… that color of horizons, of remote mountain ranges, of anything far away.